We call these “duration rentals.” Why? Let’s face it, nothing is more annoying than being charged $35-$50 each way for your golf clubs to be transported by your air carrier and then having to lug those bags from baggage claim to the auto rental terminal and elsewhere. This makes affordable club rentals worth exploring and taking advantage of, especially when the deal is so darn good. 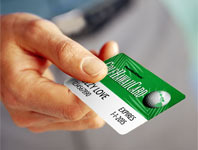 GOLFHAWAIICARD holders can rent late-model Taylor Made, Callaway & Ping clubs for not much more than it costs to transport them on your air carrier. And your personally selected set will be conveniently delivered and picked up at your lodging location at no extra charge. 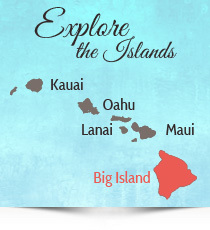 Lets say you’re planning a seven-night Big Island visit and you are planning to play four times on Days 2, 3, 5 & 6… all you need is a five-day rental. Jimmy’s will deliver your clubs on the morning of Day 2 and pick them up the afternoon of Day 6. If you’re staying for 14 nights, all you will likely need is a 10-day rental. and a blade or mallet Putter. And of course, a roomy bag is also included. in order to receive the exclusive GHC special pricing.